Benin City — A Catholic priest in Edo State, identified as Rev. Fr. Edwin Omorogbe, of St. Paul's Catholic Church Benin City has been reported kidnapped.He was kidnapped on Wednesday just before Egba, near Benin City on his way from Uromi. However, men of the Edo State police command have begun combing forest in Uhunmwode Local Council in search of Omorogbe. The state Commissioner of Police, Babatunde Kokumo, who confirmed the development, said all efforts were being made to secure the release of Fr. Omorogbe. Kokumo assured that the kidnapped priest would be released as soon as possible. As at the time of this report, no contact had been made by the abductors.It would be recalled that in January, three Catholic reverend sisters of the Eucharistic Heart of Jesus Convent and three other females, who were kidnapped by gunmen in Edo State, were released after spending 53 days in the kidnappers' den. 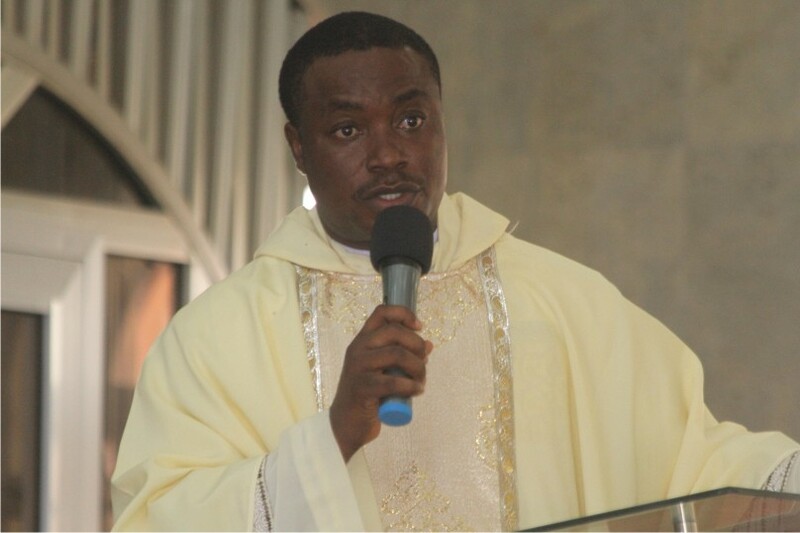 Also, the Parish Priest of St. Benedict Church, Iddo 2, Okpella of Auchi Diocese, Fr. Lawrence Adorolo was abducted last September and released days later.